The National Council for Accreditation of Teacher Education (NCATE) currently accredits our Educator Preparation program, as well as the Office of Educational Quality and Accountability (OEQA), and the North Central Association of Colleges and Secondary Schools. In our next accreditation cycle, we will seek to reaffirm our accreditation under the Council for the Accreditation of Educator Preparation (CAEP). The Council for the Accreditation of Educator Preparation (CAEP) advances equity and excellence in Educator Preparation Providers (EPP) through evidence-based accreditation that assures quality and supports continuous improvement to strengthen P-12 student learning. EPPs will use evidence, based on CAEP Standards, to continuously monitor, evaluate, and improve their programs. The CAEP accreditation process will be valid, consistent, transparent, and data-driven. CAEP will be respected as the arbiter of educator preparation program quality. CAEP will ensure consistent application of the principles of equity and diversity in its evaluation of programs. CAEP will continuously monitor and improve internal policies, processes, and procedures to assure transparency, accountability, fiscal efficiency, and high quality service and support, to serve as a model of equity and attention to diversity. *Note: Programs not currently accepting admission. For information regarding undergraduate professional education programs on the Langston campus, please contact us at soebs@langston.edu or 405-466-3382. 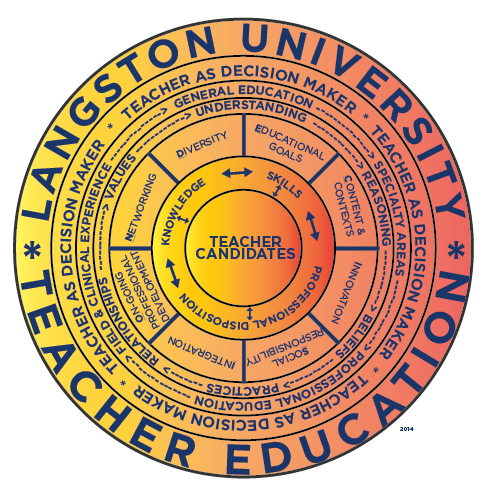 Langston University provides information on our Professional Education programs as means to demonstrate our commitment toward producing effective classroom teachers for our nation’s schools. Langston University is in the process of collecting data about its program Completer’s impact on P-12 learning and development. The Office of Educational Quality and Accountability (OEQA) has administered an independent survey to administrators annually since 2010. Administrators are asked to rate their first year teachers on their preparedness for the classroom. Data is self-reported and response rates vary from year to year. Results of these surveys are provided to educator preparation programs for use in program development. Results from the 2016-2017 year did not include responses from supervisors of Langston University Educator Preparation Program Completers. The OEQA has administered an independent survey to first year teachers and administrators annually since 2010. First year teachers are asked to rate their preparedness to teach based on the "Oklahoma 15 General Competencies for Teacher Licensure and Certification." Data is self-reported and response rates vary from year to year. Results of these surveys are provided to educator preparation programs for use in program development. 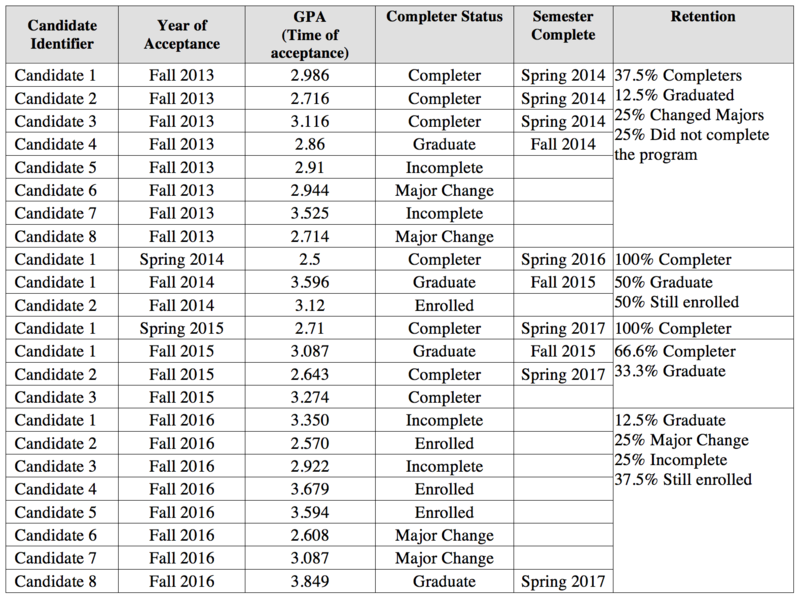 Results from the 2016-2017 year did not include responses from Langston University Educator Preparation Program Completers. Upon admission to professional education, Candidates tend to complete the program in one to two years. Langston University EPP defines a Completer as a candidate who exits the program by successfully satisfying the requirements of the EPP, (i.e., GPA, all three CEOE exams and Clinical Practice). We define Graduates as those who complete all coursework but lack Clinical Practice or any portion of a licensure exam. The Office of Educational Quality and Accountability supports high level student performance by ensuring quality evidence based educator preparation, improving P20 school efficiency and effectiveness, and providing comprehensive statistical information for all stakeholders. Results from our Completer certification exam pass rates can be found here. A cohort default rate is the percentage of a school's borrowers who enter repayment on certain Federal Family Education Loan (FFEL) Program or William D. Ford Federal Direct Loan (Direct Loan) Program loans during a particular federal fiscal year (FY), October 1 to September 30, and default or meet other specified conditions prior to the end of the second following fiscal year. These rates are reflective as of September 25, 2017. Langston University’s three-year cohort rate is 18.9%; the Oklahoma state rate is 11.6%. The federal government requires schools to estimate what it costs to attend college. These figures form the foundation upon which we can award financial aid. In our estimate, we include average figures for tuition, fees, books and supplies, room, board, transportation from a reasonable geographic area, expenses for basic personal needs and student loan fees. Scholarships are gifts. There are thousands of them, offered by schools, employers, individuals, private companies, nonprofits, communities, religious groups, and professional and social organizations. For federal government scholarships and other resources, students should file the Free Application for Federal Student Aid by the appropriate deadlines. The School of Education and Behavioral Sciences offers some scholarship opportunities that are national, university and school-based. Click here to see a list of all university scholarships. We encourage all students to apply for all scholarships presented as a means to offset the expense of their education. 1. Langston University Foundation – Provides scholarship opportunities based on specific criteria from endowed donations. The LU Foundation is also the flow through for endowed scholarships from other regional community foundations for with secured funds for Langston University. 2. School of Education and Behavioral Sciences – The SoEBS offers two endowed scholarships to all admitted Candidates in any Professional Education program. The scholarships are the Lillian Hemmitt Endowed Scholarship and the John Kirkpatrick Education Scholarship. 3. Thurgood Marshall College Fund - Established in 1987, the Thurgood Marshall College Fund (TMCF) is the nation’s largest organization exclusively representing the Black College Community. TMCF member-schools include the publicly-supported Historically Black Colleges and Universities (HBCUs) and Predominantly Black Institutions (PBIs). Publicly-supported HBCUs enroll over 80% of all students attending HBCUs. Mission Improve teaching and learning in a diverse, rapidly changing, and increasingly technological society by preparing and supporting candidates in constructing knowledge, increasing capabilities, and developing sensitivity and responsiveness to the needs of children, families, and communities in urban centers and rural environments. Philosophy Langston University’s Teacher Education Unit is committed to the practices of social responsibility through education as a means to build a better world, especially for underserved populations in Oklahoma, the nation, and the world. We believe that teachers must demonstrate a respect for diversity, engage in ethical behaviors, establish challenging but achievable goals, embed instruction in quality curriculum, and be respectful of the teaching/learning context. We believe that instruction must be based on the integration and innovation of teaching, learning, and technology beyond the boundaries of individual disciplines, founded on current scientifically based research, and supportive of all students. We believe that assessment of ourselves and our learners through an on-going assessment practice is necessary to inform our practices, promote personal and professional growth, monitor progress and support change. We believe that the classroom and school environment holds great opportunities for developing leaders who engage in professional development opportunities and service to have a direct and positive impact on the lives of children. For information regarding Teacher Education please access the Navigating Teacher Education Handbook, you can view Navigating Teacher Education Handbook.